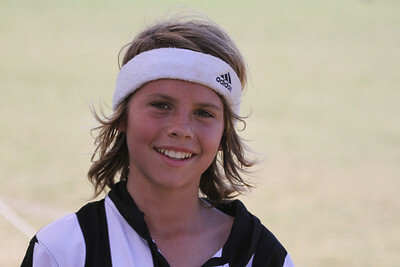 Many hours of hard work and training has paid of for one of Byron Bay FCs rising stars, Ethan Archer. Ethan has been selected to represent Northern NSW Football at the upcoming FFA national youth championships in the 13 boys country team. Ethan first started with Byron in the under 6s and has always had a great passion for the game, now playing in our 14 1st division team. Training 3 nights a week with the FFNC 13 boys rep team, Ethan usually plays up front but is a good utility player and pretty handy in the backs. There's not much of him, but his determination, technical skill and game sense have made him a dangerous player in the mids and forwards. Ethan will be travelling to Coffs Harbour in the second week of the school holidays to compete against state teams from all over Australia. Byron Bay FC wishes him all the best at the championships! On another note, Salem Edwards and Eva Salmon will also be travelling to Coffs in the holidays to compete in the NNSW state championships. Both girls have been selected in the FNC 14 girls team. Good luck girls!